Last Saturday morning I headed out to Lost Lake Nature Park to get set up for our volunteer workday. After a glance at the hot weather forecast, I wanted to soak up as much cool morning as I could. I walked out onto the dock with my wife Debbie, we were startled by the loud squawk of two green herons, interrupted during their morning meal. 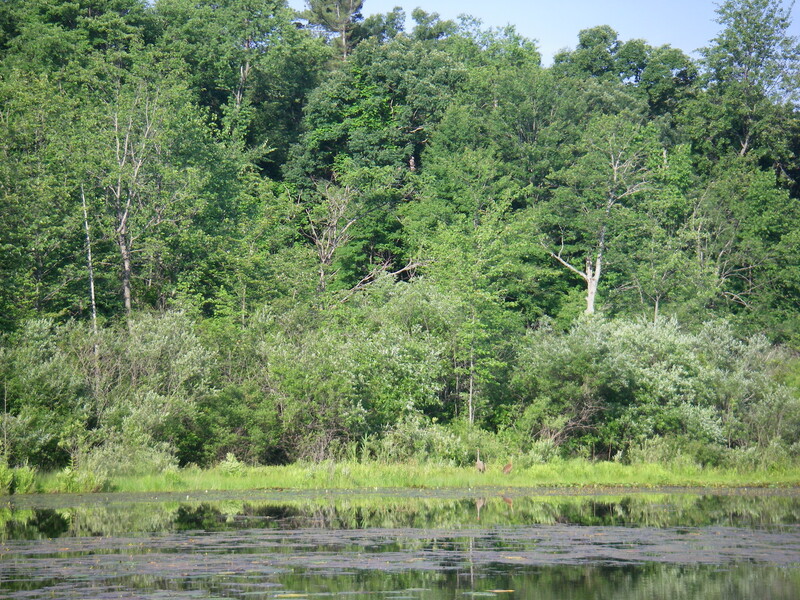 As I watched the herons fly away, two large shapes on the far edge of the lake caught my eye – deer, probably. No, wait! They were sandhill cranes! 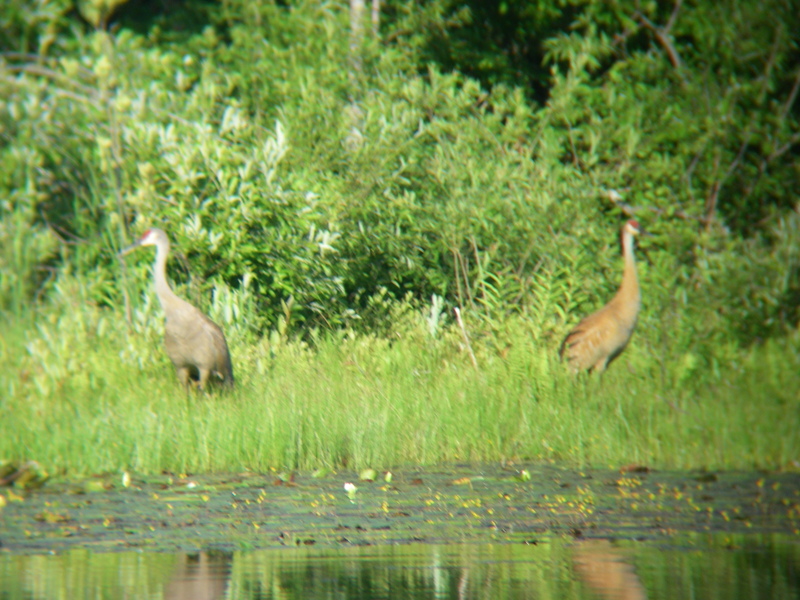 I took this blurry picture of the sandhill cranes at Lost Lake Nature Park through my binoculars. If you look closely, you’ll see the sandhill cranes in this picture. At first both cranes stood at attention, wary of the load visitors on the dock. After a while, one crane continued feeding, while the other kept an eye on us. They switched on and off, always with one looking out over the lake. Soon, the cranes spread their wide wings, ascended of the lake, and turned to fly out of view past the trees. The morning continued with a fun volunteer workday. We knocked out quite a bit of buckthorn around the edge of the lake. If you missed us this time, plan to head out to Bear Creek Nature Park from 9 am to noon on July 12 for the next volunteer workday. Join us for lots of fun at the next volunteer workday!